but came home with a rabbit. Gumboots the rabbit is a much loved pet, but the thing he does best is escape. Today, he chooses the moment Mum is in the shower and the narrator’s friend Norman is at the door to escape. Soon Mum (wrapped in a towel) and the two children are in pursuit. As they move through the town,more people join in the chase – a neighbour with a plate of cakes,a man with shiny black shoes, even a mum with a crying baby. Finally, Gumboots leads them to a park, where everyone feels more rested, and Gumboots has a surprise. The Great Rabbit Chase is an adorable picture book about happiness, slowing down -and rabbits. Blackwood, best known for her gentle, life-filled watercolour illustrations, shows that her creative talents extend to writing with a similar touch of gentle whimsy. There was once a velveteen rabbit, and in the beginning he was really splendid. He was fat and bunchy, as a rabbit should be; his coat was spotted brown and white, he had real thread whiskers, and his ears were lined with pink sateen. On Christmas morning, when he sat wedged in the top of the Boy’s stocking, with a sprig of holly between his paws, the effect was charming. 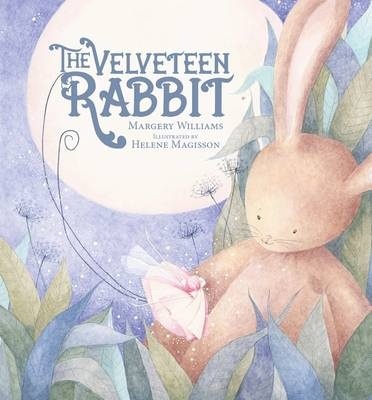 The Velveteen Rabbitwas first published in 1922 and has been a favourite of many young and old. This beautiful edition of the story about the magic of love is sure to win a new generation of fans. Readers will enjoy their visit to a different time, and empathise with the longings of a loved companion. Observant readers may also find extra details in the endpapers. Recommended for pre- and early schoolers. and I wish that you were here. Whilst this a book about grief, it is also a celebration of friendship and of life, with the boy’s memories having a gentle poignancy. 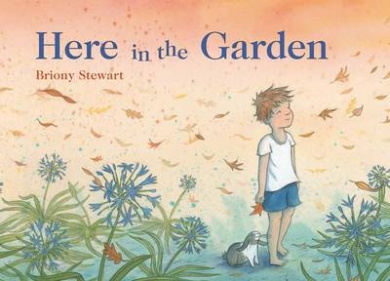 Whilst the illustrations show a boy and a rabbit, this is made clear only in the illustrations, meaning readers and adults could equally relate the text to another loss. The muted watercolour and gouache illustrations are perfect for the mood of the text – not sombre, but gentle, and with a contrast in detail between the illustrations showing the boy alone and those showing him sharing the seasons with his rabbit. In the former, reminders of the rabbit are there in little ways that viewers will enjoy noticing – such as a rabbit shaped shadow under the boy on a swing, and rabbit motifs on a curtain. This is a treasure of a picture book which touches the heart. for SNACKS and for LUNCH. Lou McGrew is sick of bananas. He’s had his fill and can’t face the thought of one more banana – so he runs away. When he meets up with his rabbit friend Sue Hoploo she, too, is hiding from dinner – carrots. The pair have a brilliant idea – they’ll swap food. But, when they do they both realise that they prefer their own food. This humorous ‘greener grass’ tale is a visual delight. From front of book felted embellishments (kids and adults alike will love stroking the monkeys) through to a gorgeous blue spotted monkey and splotchy purple rabbit against black ink landscapes and, of course the yellows and oranges of the food, the whole books is gorgeous to view. Added to that is the humorous rhyming text and a simply silly story which will make youngsters giggle. This is Sean E Avery‘s first picture book , but it is unlikely to be this talented youngster’s last. This book is available i good bookstores, or online from Fishpond. Buying through this link supports Aussiereviews. It’s Rabbit’s year on the Chinese Zodiac, but Rabbit is feeling sad. He has no friends. He knows he’d make a great friend, but that’s not much use if no one else seems to know that. His favourite thing is music but he’s too shy to join with the other animals in making music. So he played his music alone. Other animals hear his music and are drawn to follow it. From having no friends, Rabbit discovers there are many animals happy to help him celebrate his special year. Illustrations are in soft watercolours. Rabbit’s Year is a gentle exploration of the personality of Rabbit, and those born in this Chinese year. It describes Rabbit’s personality but also the personalities of the other animals of the Chinese Calendar. A final spread provides more information about each of the Zodiac animals, their personalities and the birth years they inform. This is a lovely gentle way to introduce the world of the Chinese Zodiac and will sit nicely with companion title ‘The Race for the Chinese Zodiac’ written by Gabrielle Wang and illustrated by Sally Rippin. This book can be purchased from good bookstores, or online from Fishpond. Buying through this link supports Aussiereviews. when something began to bother his knees. Poor Timpkin! When a mouse finds some cheese, he doesn’t want to put it down, not even to scratch the most fidgety itch. So he calls for help. Feather McDoo flies in to help. Now Timpkin is feeling better, but not poor Feather. She has an itch that ‘jiggles and tickles like porcupine prickles’. Next comes Possum. And…you guessed it…he develops an itch too! But when Fuzzy O’Hare arrives and develops an itch of his own, who will scratch it? Illustrations are in ‘watercolour and mosquito sweat’! The animals have very expressive faces and body language, reflecting the irritation and the relief of terrible itches. There’s nothing worse than an itch that’s inconvenient to reach to scratch. And there’s nothing like the relief of having that itch scratched. The Fidgety Itch grows a chain of cooperative scratchers all happy to be helping out. Readers will enjoy finding the itch-maker on each opening. The text is in rhyme and cumulative, and full of interesting words, just made for repeating. As well as the rhyme, there’s repetition and alliteration. 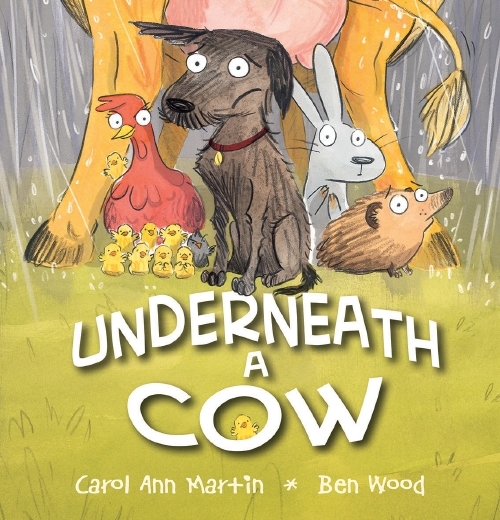 Recommended for pre-schoolers and early primary readers.